Gum disease occurs when excessive plaque buildup causes your gums to separate from your teeth, this allows harmful bacteria to infect the soft tissues and bone that support your teeth. If left untreated, gum disease will eventually destroy your gum tissue and bone, eliminating the support system for your teeth. Did you know that periodontal disease is the leading cause of tooth loss in American adults? Gingivitis is the early stage of gum disease, and in this stage you may notice that your gums bleed when you brush, and they appear red and swollen. Detected early on, gingivitis can be effectively treated with a thorough professional cleaning and improvements to your home care. Periodontitis is the advanced stage of gum disease when the damage starts to occur. This stage requires a deep cleaning below the gum line to remove the plaque and tartar buildup that causes the infection. Depending on the severity of your condition, antibiotic therapy or surgery may also be necessary. We’ve learned that the bacteria that causes gum disease can enter your bloodstream and travel to other areas of the body and contribute to the inflammation that causes other chronic health issues. We also understand that people who suffer from issues such as diabetes and cardiovascular disease are also more prone to periodontal disease. This is known as the oral systemic connection. Being proactive about your oral health means taking care of your overall health and well being. 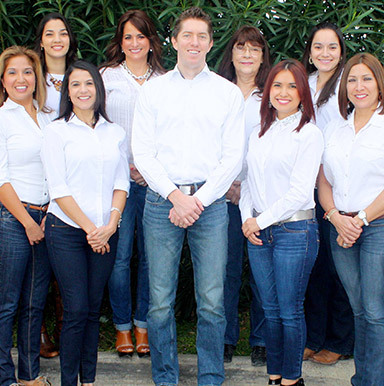 At Los Fresnos Dental Center, we believe that prevention is the key to maintaining optimum oral health, and your regular six-month cleanings and checkups are the key to prevention. During every checkup we’ll screen you for issues such as gum disease, oral cancer, and tooth decay to ensure that we detect them in their earliest stages. We’ll also remove the excess plaque that causes tooth decay and gum disease during your cleaning. Your health is too important to risk! Call us today to schedule your next cleaning and checkup appointment.